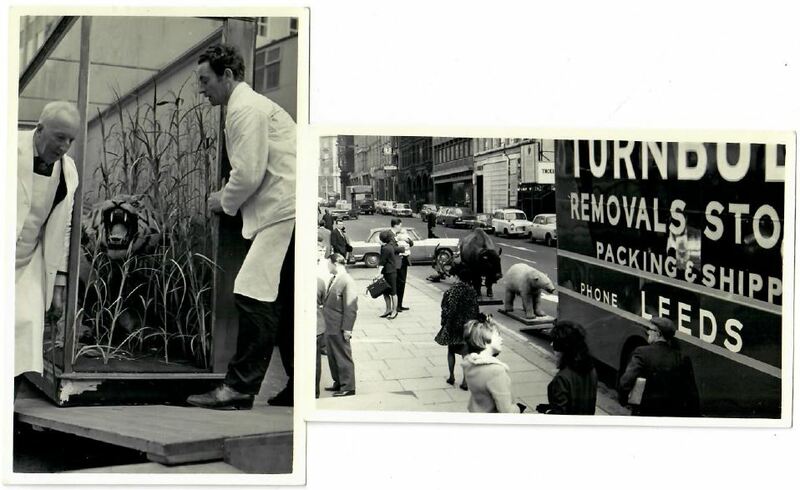 Turnbull's Removals Down The YearsUsing images from our archives, we look at 150 years of Turnbull's Removals in Leeds. 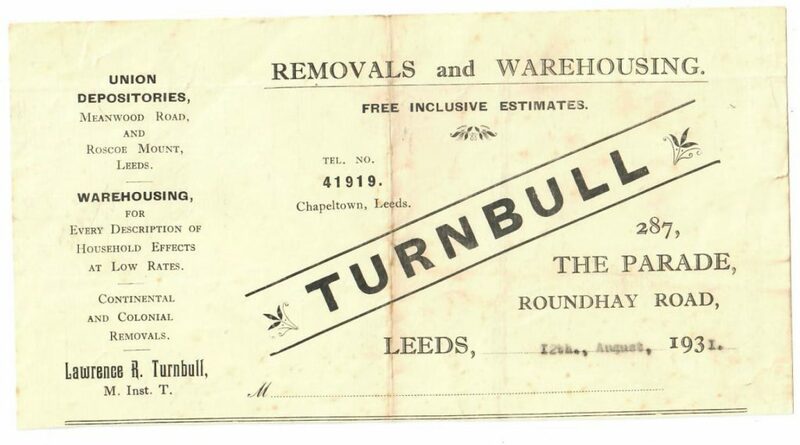 To celebrate 150 years of Turnbull’s removals in Leeds, we went through our items and archives to find some of the best bits of Turnbull’s history that we had ownership of. The search returned some truly amazing pictures and items associated with Turnbull’s and the city of Leeds which we are proud to showcase. The above shows the three of the offices that Turnbull’s have used down the years. First on the left being our location on Roundhay Road, Leeds before moving into a small office on Education Road. The most recent image shows our new team still at Education Road. The above shots show some of the earlier Turnbull’s removals vans that we have images of. The highest central image shows a van with advertisements on the front and sides for events in Leeds. The bottom left shows a small insight into removals before health & safety and then the bottom right image shows a Turnbull’s removals van crossing the North Sea into Europe. We loved this image of a Turnbull’s van parked on what looks like The Headrow in Leeds. We believe the image on the left shows what is known as the Leeds Tiger, an exhibition still on show at Leeds City Museum. As we enter the colour era, our images start to show the development of Turnbull’s removals vans throughout the years but with the constant and distinctive colour green. 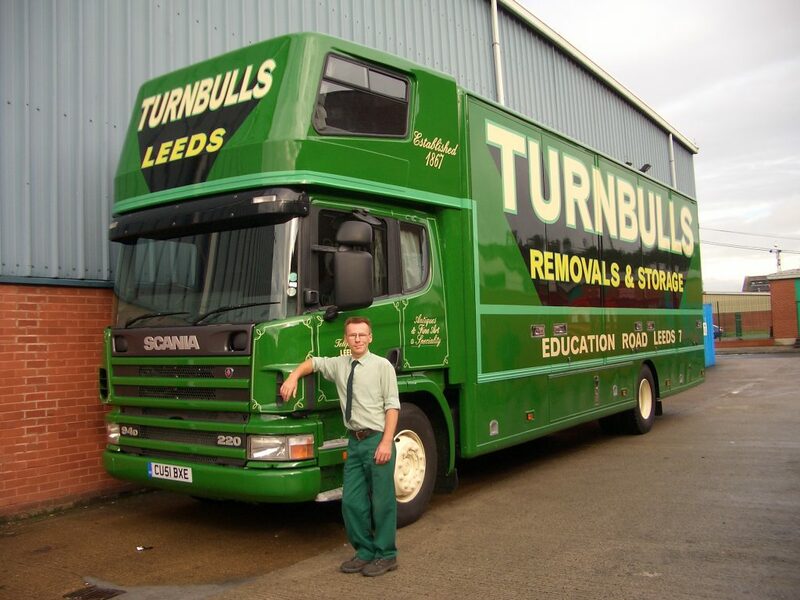 Long serving member of the removals crew, Martin Gardner here proudly in front of a Turnbull’s van. Martin remains a valued member of the Turnbull’s team to this day and can call upon over twenty years of service. 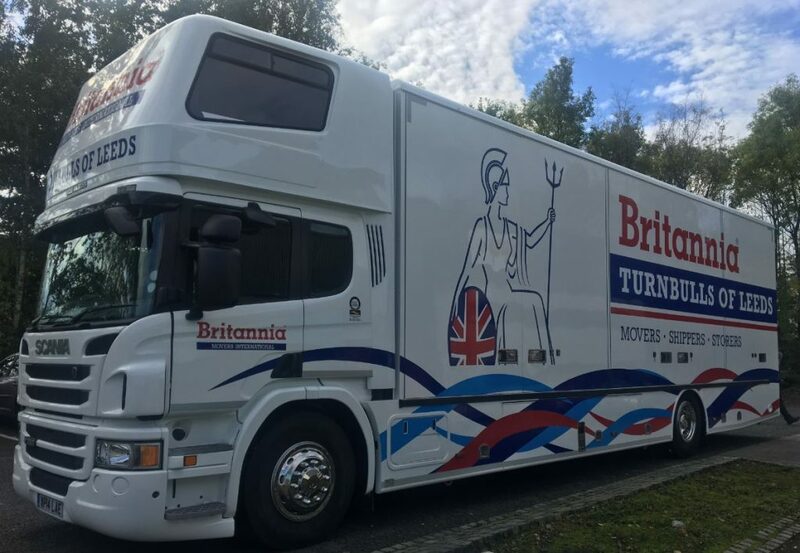 The final van in our collection of images is our brand new Britannia Turnbull’s van purchased in celebration of our 150th year of removals. 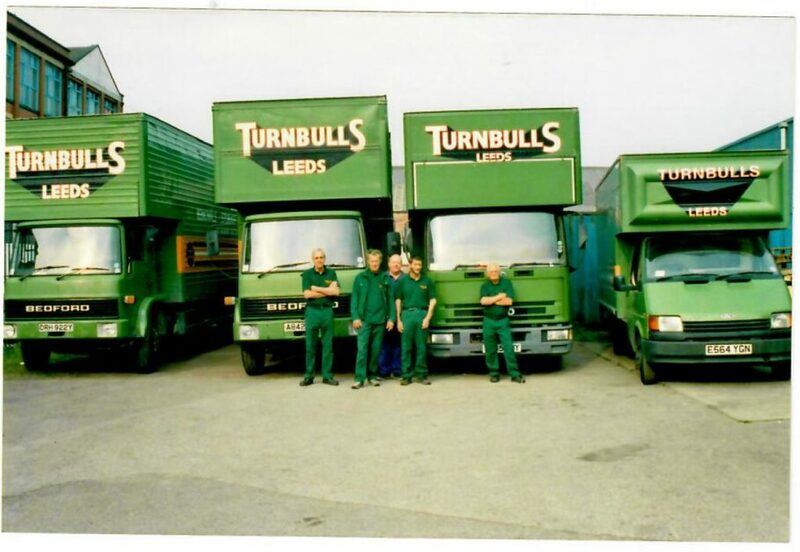 Down the years Turnbull’s have had over 200 removals vans. The oldest Turnbull’s item that we found was the above advertising flyer from 1931. Much in the same way we do in 2017, Turnbull’s would use flyers like this to notify people who are looking to move house that Turnbull’s were the company for them. 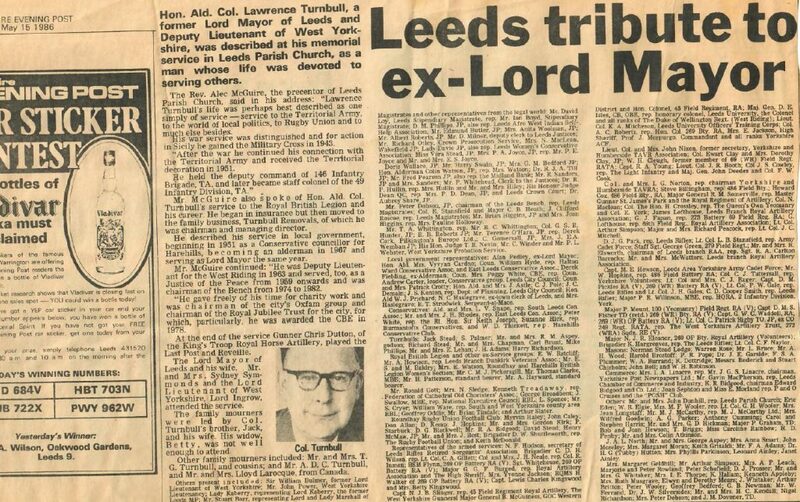 Finally we have a great article from the Yorkhisre Evening Post in 1986 on one of our previous managing directors and ex-Leeds Mayor, Lawrence Turnbull.